Take Advantage of Professional Insurance Associates' more than 15 preferred personal lines auto markets and win more accounts. Expand your Personal Lines business and get more clients with access to our markets. Qualified agents can rate in your own office - or have Professional Insurance Associates (PIA) do it for you. PIA has decades of continuous experience in personal and commercial lines. You name it, we will help you find the right market. We have depth of and reach of one of the top agencies in the country. 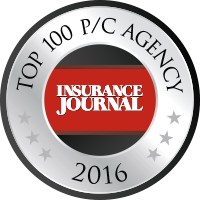 We were just named a Top 100 P/C Agency by The Insurance Journal in 2016, so you know we have the knowledge and service you need to grow your business and exceed your current clients' expectations. To Contact Us or for More Information, Please Visit Our CompleteMarkets Storefront.